Do you love Chinese dishes that are rich in colour, aroma and flavour but fear gaining weight? Don’t worry because these nutritious and healthy Chinese vegetarian dishes will also satisfy your craving for table delicacies. 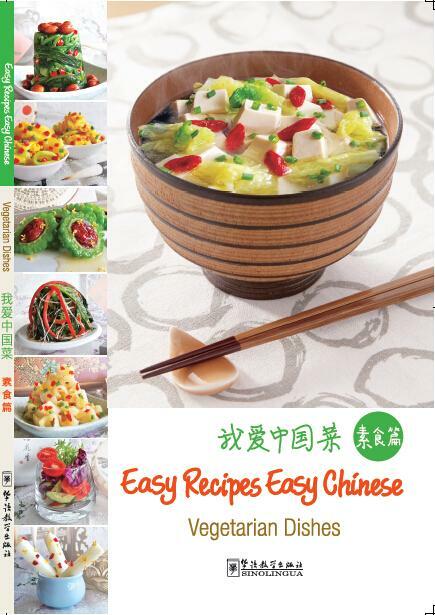 In this book, the cooking methods of 39 tasty and healthy vegetable dishes are introduced and accompanied by detailed instructions and beautiful pictures, which will help you become a great chef in no time! Plus, we selected commonly used vocabulary and expressions associated with Chinese vegetarian food so you can learn some Chinese while enjoying the cuisine. Copyright © sinolingua.com.cn Corporation, All Rights Reserved.